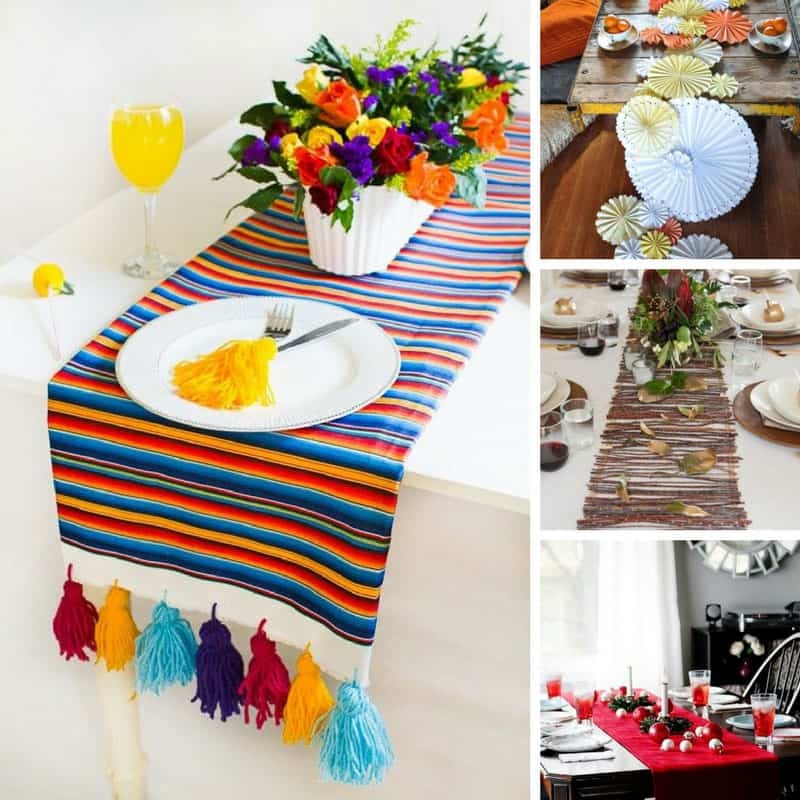 Home > DIY Projects > 29 DIY Table Runner Projects to Turn Your Table into a Show Stopper! Make your table look fabulous whatever the occasion with one of these easy to make DIY table runners! Whether you’re planning a Christmas gathering for friends and family, a party for your kids, a meal with friends or a romantic dinner for two you can turn your table into a show stopper with one of these super simple DIY table runners. Table runners are sometimes called scarves, and they are perfect for adding a bit of character to your table. You can use them to complement your other table linens, or to hide a leaf or flaw in your table! I searched high and low and found everything from burlap and velvet, to paper flowers and even twigs! There’s sure to be a project (or two) in this list that grab your eye so be sure to save them to your DIY projects board on Pinterest so you can find them when you need them!